Communicating financial information is often challenging. 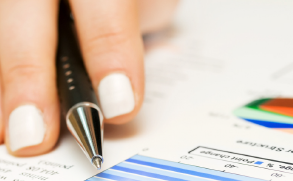 This one day course will improve your financial analysis skills using Microsoft Excel. If tasks such as creating budgets, tracking expenses, determining costs across different sectors of your business are often on your to-do list, then this course will help save you time and money. You will learn the tools to help you to better understand your business performance, examine profitability of jobs, plan budgets and examine business scenarios all through the use of Microsoft Excel. Laptops, software and manuals will be provided. This course provides one Gold Seal SIC on completion. The objective of this course is to improve the Construction Professionals numerical and financial analysis tools. They will be better able to manage their business with current and interactive data and they can provide more accurate information to their clients and suppliers. The Construction Professional will be able to efficiently create a simple financial model of their business to track revenue and expenses and tax commitments. This ensures a more professional practice will be offered to the public. The Construction Professional will be able to create a verifiable financial audit trail to minimize errors and misrepresentations of financial data. They will be better equipped to create estimates and project plans. They will be better equipped to make decisions, provide value advice and accurately present information to their clients. This advances level course will give you a better comprehension of how to analyze data to create what-if scenarios (what if conditions changes...how will these affect the cost of the job). Learn how to use Microsoft Excel for estimating, costing, bidding and project planning. Learn how to create simple Gantt charts and timelines in Excel. We will show you how to use Excel with other programs to quickly and easily make presentation materials from spreadsheets containing estimates and schedules. Discover the capacity to manipulate and analyze information (via pivot tables) to create management analysis reports. Laptops, software and manuals will be provided. This course provides on Gold Seal SIC upon completion. If you have ever had to juggle dozens of functions and hundreds of tasks all while trying to stay on budget, meet your deadline and keep every stakeholder informed along the way, then this seminar is for you! This two day gold seal accredited course, lead by a Professional Engineer, will give you a comprehensive understanding of how Microsoft Project can be used as a practical approach to project management. Microsoft Project for Construction is a powerful course that will show you how to plan, monitor and schedule projects using resources such as people, equipment, time and money. This seminar will provide you with the skills to effectively track and analyze projects with a better understanding of the impact changes. Laptop and written materials are provided for use during the interactive seminar! The information presented in this course will help you to improve your communication skills both written nd oral, your negotiating skills and conflict resolution abilities alongside co-workers and on the job site every day. If you are interested in registering for the Construction Industry Ethics, In-class component, please contact the Association Office at 905.629.7766. Module 1 consists of the first two (2) days of the four (4) day Claims Preparation and Management Course, which is accredited by the Canadian Construction Association. Day 1 of this Module 1 will provide essential fundamental information to all participants at a basic level, including introductory material, fundamentals of risk management, and a basic understanding of the structure of contracts. Day 2 of this Module 1 will provide basic fundamentals of construction planning and scheduling and delay analysis. The course is designed around a mixture of lectures and interactive workshop type classroom activities. Module 2 consists of the last two (2) days of the four (4) day Claims Preparation and Management Course, which is accredited by the Canadian Construction Association. This course will continue to provide basic fundamentals of construction planning and scheduling and delay analysis. The course is designed around a mixture of lectures and interactive workshop type classroom activities. Implementing the decision - Involving those key "others"
This training program will provide you with the knowledge and skills to visulaize the scope and mangitude of a construction project and produce reliable estimates. This is accomplished by reviewing drawings through various phases of a project with the aim of determining the quantity and type of materials required for the project. Supervisors play a key role in ensuring that job gets done on time, on budget and safely. This course will introduce you to all aspects of supervision, beginning with a discussion of the supervisor's role and the skills required. Then, the supervision basics are covered: leadership vs. management, due diligence, communication skills, meetings, and handling disagreements and problems. The course then examines the supervisor's role with respect to safety, looking at inspections, investigation and training. Human resource management comes next, including addressing personal problems and performances issues. The course introduces you to planning and scheduling, followed by productivity and quality, including problem solving for quality outcomes. The final section teaches you how to lead an effective work team by discussing concepts, motivation and team performance. Absolutely the most comprehensive health and safety program available to civil contractors today! The course walks supervisors and managers through the rules and regulations regarding interacting with the Ministry of Labour, the prosecution process, the defence of due diligence and loss control. Module 1 will give students the tools to establish and improve company health and safety programs, to monitor them and to minimize corporate costs and exposure to personal and corporate liability under the Occupational Health and Safety Act. The OHSA requires employers appoint and ensure that supervisors are “competent persons” as defined by the Act. An essential element of this definition is ensuring that supervisors are familiar with the legislation that applies to the work. Module 2 will give the students a review of accident reporting, managing workers’ compensation claims and objecting to claim decisions and appeals. It will also provide students with an overview of the Regulations for Construction Projects and focuses on the legal duties of supervisors as an integral part of the health and safety management system. It also focuses on the integration of project management requirements and OHS from the inception of a project, through to its completion. Suggested participants include Site Superintendents, Project Managers, and Supervisors. Confined spaces can be hazardous if not approached with an understanding of how to prepare for entry, how to enter and work safely, and what to do if an incidence occurs. This course will introduce you to the types of confined spaces and the associated hazards. You will learn about the activities within a confined space and codes of practice. Different types of hazard controls are presented, including engineering, administrative and protective equipment. Confined space entry procedures, including the rescue plan and evacuation (escape) plan, are explained. Your roles and responsibilities in post-entry inspections and retention of records are also explained. $449.00 Mr. Kevin Brown, Cobalt Safey Consutling Inc.
All of the above can be classified as "supervisors" under the Occupational Health and Safety Act. *Upon completion of the UIA training program and test, attendees will receive a certificate that is valid for 1 year. Ethical behaviour is paramount in the construction industry. By maintaining high ethical standards, and being consistent in our practices, we thrive both personally and professionally. The Construction Industry Ethics course has been designed to help you understand ethics as it relates to the construction industry. The course contains interactive elements, case studies, practical examples, videos, and a course glossary. This course can help your employees navigate the ethical grey areas they face every day. PLEASE NOTE: There is a mandatory in-class component to this course that must be completed as a prerequisite to writing the Gold Seal exam. The OSWCA does not yet offer this component, but will later in 2017.